In 2017, the British Columbia Institute of Technology (BCIT), the United States Geological Survey (USGS) and the Stanley Park Ecology Society (SPES) initiated a collaborative effort to sample Pacific blue mussels (Mytilus trossulus) in the intertidal zone of Stanley Park. 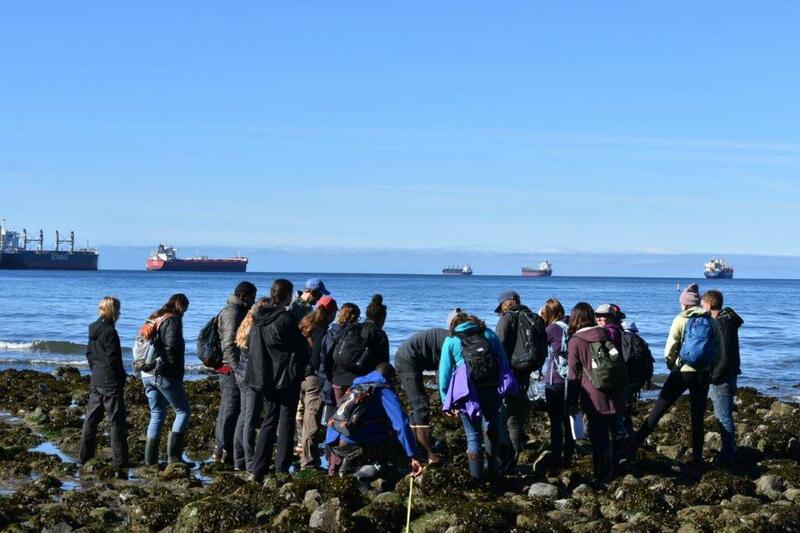 Once a year in October, Dr. Eric Anderson and his Ecological Restoration class at BCIT join Dr. Dan Esler (Research Wildlife Biologist at USGS) and SPES’s conservation team to measure mussels along transects between Siwash Rock and Prospect Point. The protocol was designed by Dr. Esler. The objectives are to 1) generate data to inform a broad research program addressing trophic relationships in nearshore ecosystems along the Pacific coasts (USGS interest), 2) provide training in study design and sampling to BCIT students and 3) supplement information on the ecological state of the Park in the intertidal zone (SPES interest). Mussels are great indicators of nearshore conditions and health, and Stanley Park is a perfect location to do this analysis given the abundance of Pacific blue mussels. In addition to the mussel count study, SPES and groups of BCIT students from the Fish, Wildlife and Recreation program have been surveying Barrow’s Goldeneyes in the same area of Stanley Park for several years. Barrow’s Goldeneyes (Bucephala islandica) are mussel-specialist predators and use Stanley Park as a wintering area. 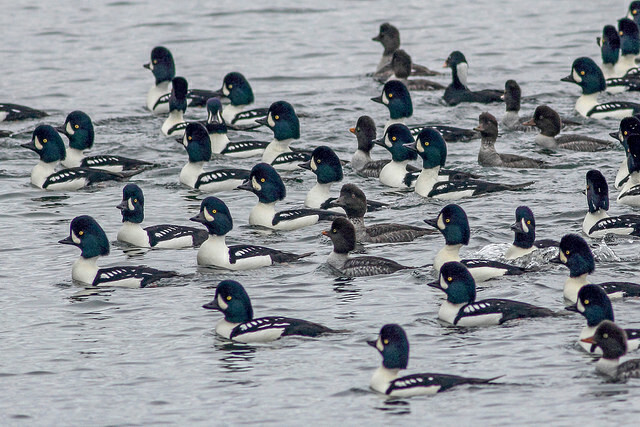 Therefore, combining the mussel and the Barrow’s Goldeneye studies is a great approach to shed light on how trophic relations between these two species are influenced by marine conditions.